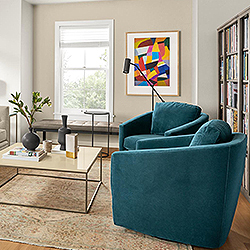 Did you know you can refresh your space just by adding one new piece? 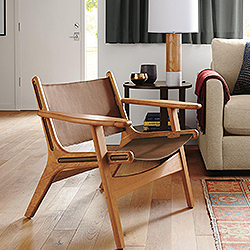 Bring personality and freshness to your living room with a new, modern lounge chair. 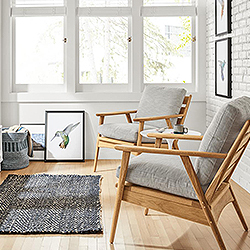 We've rounded up a few of our favorite lounge chairs to give you inspiration for your home! Sculptural, with a modern mix of materials for a masculine, yet warm appearance, Lars will become the focal point of your room. The soft curves and detailed craftsmanship ensure this chair will age beautifully. 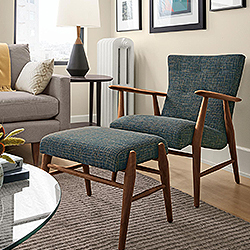 Ericson blends Japanese and Scandinavian design details for a timeless look that’s always in style. Every detail is perfectly executed, from the elegant dowel joinery to the precisely contoured arms. 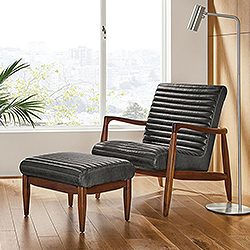 This striking leather accent chair has details you’ll appreciate from every angle. Callan’s contoured seat and back seem to float inside the frame, while horizontal channels add extra comfort. 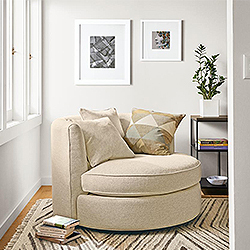 A swivel chair that looks right at home in any space, Ford fits people of every size. 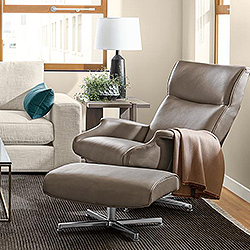 The swivel base, low seat and sloping arms wrap you in comfort. The Danish-inspired Jonas chair is as lovely to look at as it is to sit in. This small-scale artisan accent chair is made from U.S.-sourced solid wood expertly crafted into a sculptural form. A leather lounge chair that invites you to sit back and relax for as long as you'd like, Beau offers exceptional comfort at a great value. 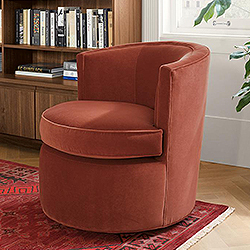 Sized to fully support your head and back, this chair features plush cushioning, softly flared arms and a swivel base. Not finding exactly what you're looking for? No problem! Check out all of our modern lounge chair options here or get personalized ideas and advice from our team of expert designers (for free! ).